EU representative met recently with regional foreign minister in Astana. With the signing of the Enhanced Partnership and Cooperation Agreement (EPCA) between the European Union and Kazakhstan on December 21 in Astana, the EU has elevated its relations with Central Asia’s largest economy. The EPCA took more than three years to negotiate and will replace the Partnership and Cooperation Agreement that has governed relations since 1999. It is the first of a new generation of cooperation agreements between the EU and the former Soviet states of Central Asia. Federica Mogherini, the EU’s high representative for foreign affairs and security policy and vice-president of the European Commission, was in Astana to chair the 11th EU-Central Asia Ministerial Meeting. Attended by foreign ministers from Kyrgyzstan, Tajikistan, Turkmenistan and Uzbekistan, along with the Kazakh hosts, the meeting yielded no big surprises. “What happens in this region of the world is extremely important for the European Union,” Mogherini said following the ministerial. Over the summer, the EU reviewed and revised its Central Asia strategy–previously iterated in 2007. The update noted specifically that the “main objectives and priority areas of the 2007 EU Strategy for Central Asia remain pertinent.” The document continues to place emphasis on dialogues to tackle human rights concerns, but for the first time actually mentioned torture, specifically. “The new EU Strategy on Central Asia is a strong sign of the political investment by all EU Member States and the European institutions in a strategic partnership, a strategic relationship with Central Asia. Only through strengthened cooperation can we solve the challenges we have and take full advantage of the many opportunities our regions have,” Mogherini said of the strategy. Finally, we also have agreed in our Joint Communique that democratisation, respect for human rights and the rule of law are also fundamentally important for the socio-economic development and also for the business climate, for the investment climate and that strong civil society is also an important element for a successful economy and also for a secure environment. 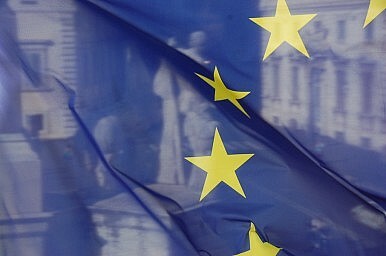 The EU plans to spend over a billion euros on programs in Central Asia from 2014 to 2020. The EPCA concluded between the EU and Kazakhstan illustrates Astana’s central place in how the EU views engagement in Central Asia. According to an EU fact sheet on the relationship, the EU is Kazakhstan’s primary trade partner and its largest export market. “In 2014, trade to the EU was worth EUR 31 billion (36%), ahead of China (22%), Russia (21%), the US, Uzbekistan and Turkey (2% each).” Most of that trade is in oil and gas. The EU says that the agreement “puts a strong emphasis” on democracy, the rule of law, human rights, fundamental freedoms, sustainable development and civil society cooperation. While these areas are continually mentioned, it’s not clear progress has been made or merely simulated. Europe's New Central Asia StrategyUzbekistan Aims to Move Regional Cooperation From Talking Points to RealityThe Disconnect Between the EU's Central Asia Strategy and RealityKazakhstan's European Trade ProblemHow is Russia Losing Ground in Central Asia?